I am a huge fan of Zucchini and any kind of Squash, and if I can pair those up with some cheesy goodness, then I'm one happy girl. This is such a quick and easy casserole to throw together, makes a perfect side dish when you're looking for something quick. I use Zucchini and whatever Squash I can find at the store, this time it was yellow squash. I don't have a set amount of either to use, it just depends on what I am in the mood for. 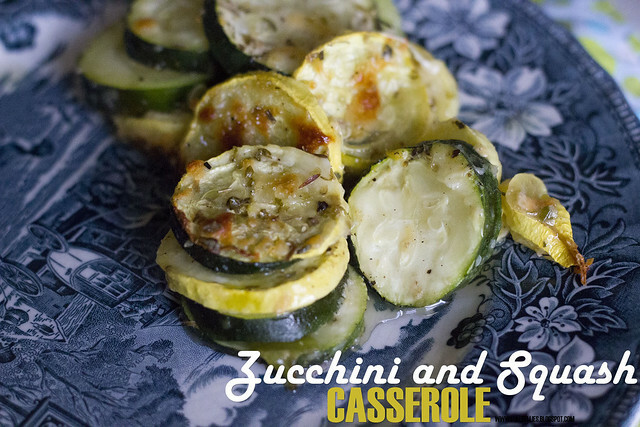 If you prefer Zucchini certainly add more of that in, or if you prefer the yellow squash then add more of that one. In a big bowl, combine all the ingredients, pour into a casserole dish and bake at 350 degrees for about 20 minutes or until zucchini and squash are tender and cheese is melted.